Lenders often require homeowners to purchase homeowners insurance, or hazard insurance, before completing their mortgage loan. Homeowners insurance covers damages caused by fire, smoke, hail, wind, vandalism, or other events. Homeowners insurance covers the house and its furnishings, personal items, structures on the property such as garages and pool houses. Homeowners insurance may also cover personal liability such as if someone gets injured on your property. Homeowner's insurance is a form of hazard insurance that covers one's home and property. It pays out benefits for losses caused by fires, theft, hail, wind, vandalism or other similar damaging events. A homeowner's insurance policy will typically cover the house, personal property, furnishings, and other structures such as garages, sheds, or pool houses. If a homeowner has a mortgage, they are often required by their lender to purchase homeowner's insurance. The policy can also cover personal liability and legal responsibility for injuries that happen to other people while on the property. This includes damage or injuries caused by the homeowner, his or her family members, and even their pets. Unfortunately, even if a homeowner has a valid homeowner's insurance policy, their claim could be denied in certain instances, leaving them to suffer a major loss. Insurance companies may create impossible conditions and terms in their contracts, delay or stall a claim to force the policyholder to accept a smaller settlement, make false promises that they do not follow through with, trick policyholders with false adjustments or by changing the terms of their contract, etc. Being denied benefits from your homeowner's insurance policy can be devastating to you and your family if you have suffered damages to your property. If an insurance company denies your claim, challenges your claim, or pays you a smaller settlement that you are owed, a homeowner's insurance lawyer can help. An experienced homeowner's insurance attorney will act as a mediator between you and your insurance company if they try to escape paying for the damages to your home or does not pay you enough to replace the property you may have lost. An attorney can help prove that your insurance company acted in bad faith by denying you the coverage you are rightfully owed. 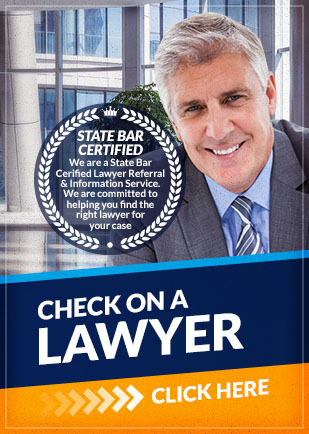 They will do their best to settle any disputes quickly, so that you can get the compensation you need to rebuild your life. Homeowners insurance companies might try to escape paying for the costly damages that occurred to your property. This is when an experienced homeowners insurance lawyer can help. An attorney can settle disputes between policyholders and insurance companies who act in bad faith. Homeowners are often hurt when they are denied insurance coverage. A homeowners insurance lawyer will be a mediator between you and your insurance company when your insurance company does not pay enough to replace your belongings or your house. If you have been denied a valid homeowners insurance claim, a homeowners insurance lawyer can help protect your rights. Attorney Search Network can refer you to a homeowners insurance lawyer who can help you get the appropriate compensation.